Fifty kids in red-and-white jerseys sat on the shiny basketball court looking way up high at United States Basketball Hall of Famer Dikembe Mutombo giving them a pep talk in the new Sylvan Adams Sports Center of the Jerusalem International YMCA (JIY). 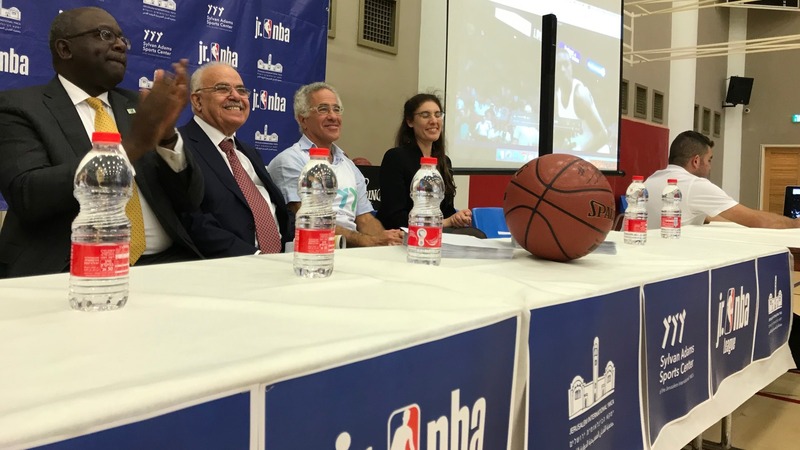 “We are bringing you here to build friendships with people you have never seen before and who may not speak your language,” Mutombo told the group, a fraction of the 450 Jewish, Muslim and Christian 11- to 13-year-olds expected to take part in the 30-team Jr. NBA Jerusalem International YMCA League. The towering NBA Global Ambassador was in Israel for the first time, lending his eight-time All-Star power to the inauguration of the 100,000-square-foot (9,290-square-meter) sports complex and the first Jr. NBA league in Israel. Emily had the privilege of presenting Sylvan Adams at the November 27 inauguration ceremony of the multistory complex, said to be the largest of its kind in the Middle East with a half-Olympic-size pool, indoor basketball court, exercise studios and rooftop garden plaza. The Canadian philanthropist, living in Israel since 2006, supports a host of sporting initiatives in his adopted country. 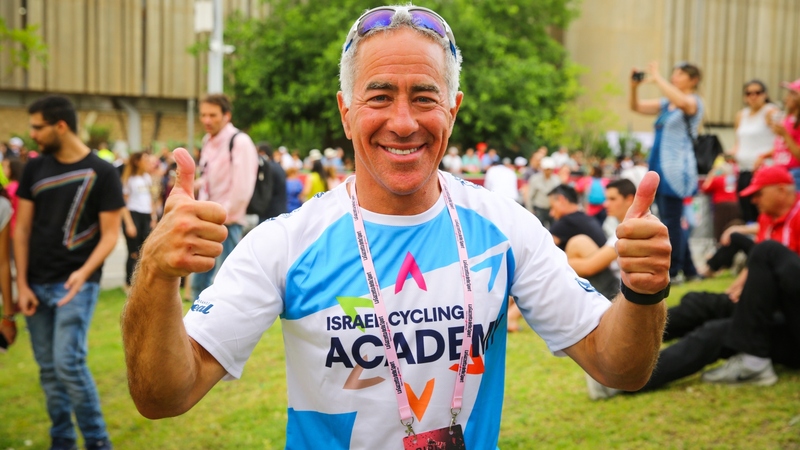 As co-owner of the Israel Cycling Academy, Israel’s first national bike team, he brought the Giro d’Italia Grand Tour’s Big Start to Israel last May. He built a velodrome in Tel Aviv, the first in the Middle East; and established the Sylvan Adams Sports Institute at Tel Aviv University as a home for applied research to raise the level of Israeli sports achievement. On December 2, the new 110-kilometer Sylvan Adams Bicycle Trail will be inaugurated at a ceremony at its starting point in HaYarkon Park. Inclusivity and diversity are high on Adams’ agenda. The Israel Cycling Academy’s 2018 roster is said to be the world’s most diverse, with 24 riders of four religions from 16 countries. 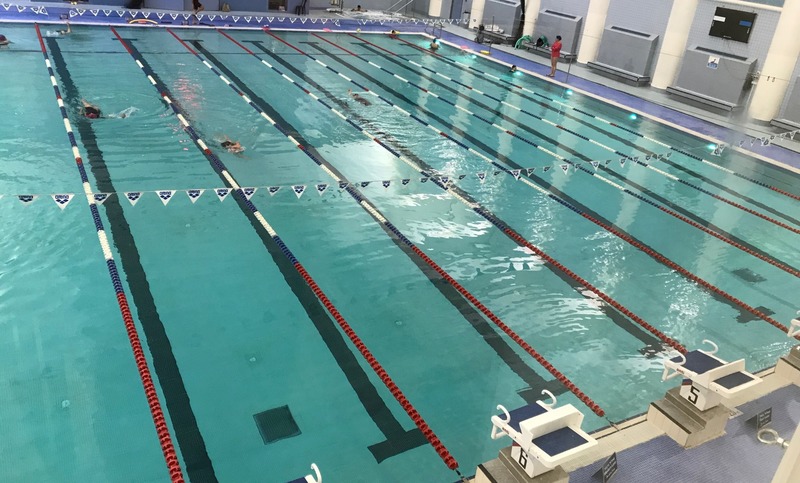 When Adams learned two years ago that the JIY — “the most important YMCA in the world in the most beautiful city in the world,” he said — had been trying to build a new sports complex for 30 years, he stepped in and made it happen. 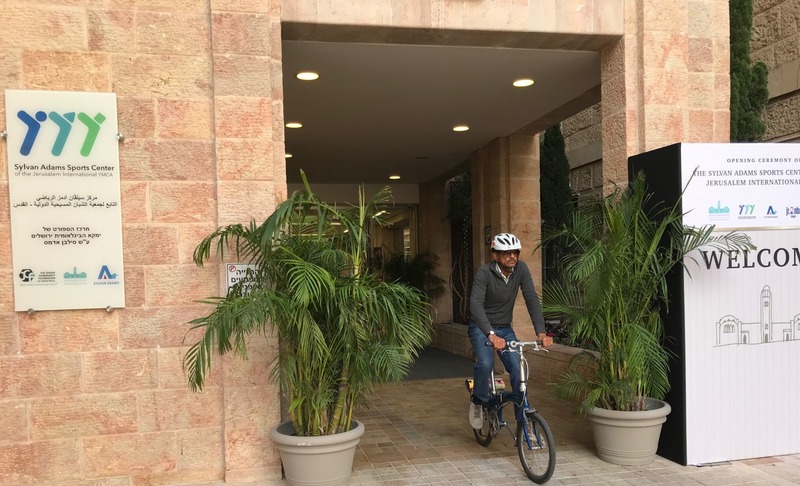 The facility is known as a cultural oasis serving all segments of Jerusalem’s citizenry. JIY’s 1930s landmark building was designed by Empire State Building architect Arthur Louis Harmon. 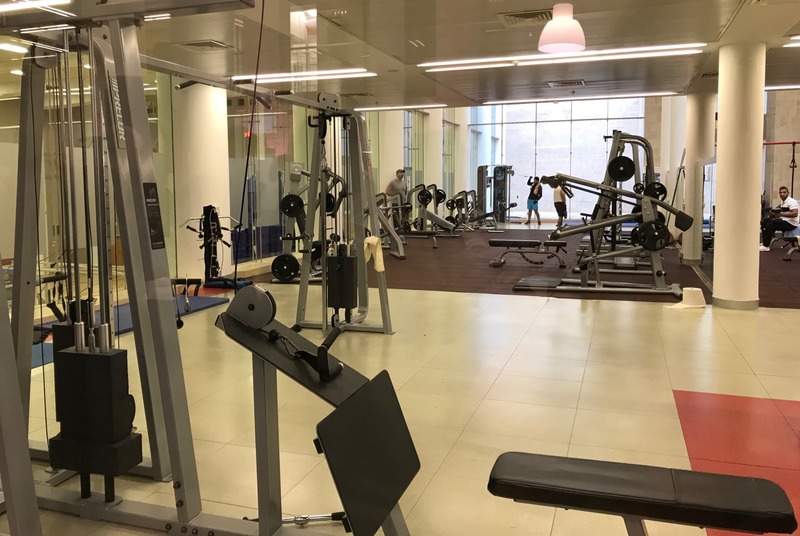 It houses gym and pool facilities long since outgrown by its membership, as well as a hotel, restaurant, concert hall, auditorium, language school, Arabic-Hebrew preschool and trilingual Jerusalem Youth Chorus. The JIY was founded in a bookstore near the Jaffa Gate in 1878, said Elias Khoury, chairman of the board of directors. “It has always been the place where all Jerusalemites — Christian, Jew or Muslim, rich or poor — came to learn a language, to play sports, to hear a concert or enjoy a game of chess. We have been an island of calm and sanity for 140 years. Now, with the opening of the new sports center, we are taking our mission a big step forward into the future,” said Khoury. Sport activities help participants appreciate other people’s skills, qualities and achievements, said Omari. “Cultural, religious and national differences are not part of the game. Here, a Palestinian woman and an Israeli woman can be in the same sport class, working out side by side. In today’s reality in Jerusalem, this should not be taken for granted,” she said. In the audience were JIY members such as Karen Weiss from the Jerusalem suburb of Ma’aleh Adumim. The ceremony included a fitness demo by the center’s ethnically diverse professional staff. Mutombo urged the Jr. NBA players to practice diligently but not to the detriment of their schoolwork.